My biggest regret about the Divergent series by Veronica Roth is that I didn't get into it when the hype was at its peak. By the time I started reading these books (last week), the entire series was published and two movies were out. Needless to say, the story was kind of spoiled for me (and I'll get into the worst part of that later). So did it keep me from enjoying the series? Absolutely not. Even when I recognized the scenes from movie trailers and clips, I was always excited and surprised by what I was reading. The Divergent series, like The Martian, deserves every bit of praise that it has earned. It's not just one of the best book trilogies I've read this year. 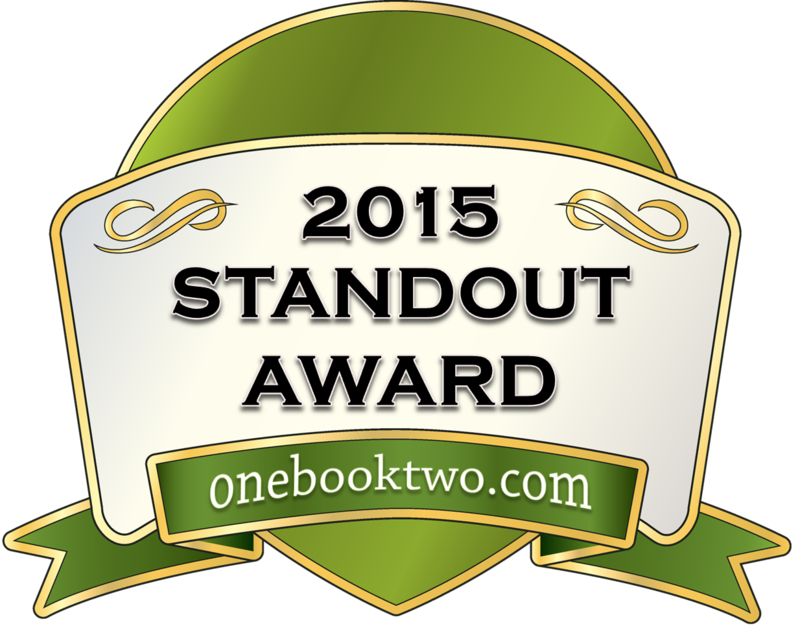 It's one of the best I've read, period, with two of the strongest lead characters in the Young Adult genre. I liked Divergent better than I liked The Hunger Games, and even better than The Mortal Instruments. A true triumph of choice and consequence, risks and bravery, in times of adversity. 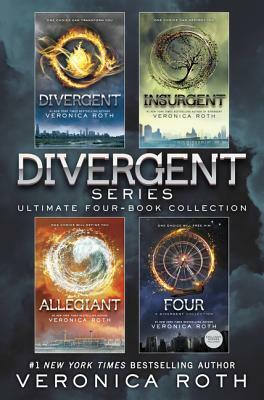 Four story collection: These four stories, each between fifty and seventy-five pages long, together give readers an electrifying glimpse into the history and heart of Tobias, including his Choosing Day and initiation, how he gets his infamous nickname "Four," and the moment he meets Tris Prior, setting the stage for the epic saga of the Divergent trilogy. I'm still absorbing everything that happened in the books (I did just finish them today), but I can say with ease that Divergent is probably my favourite of the three novels (well, four, if you include Four's novella). The story is set in a dystopian world where its sixteen year old citizens choose where they will live for the rest of their lives: Amity, Abnegation, Erudite, Candor, or Dauntless. The choice is made based on a simulation test to determine where the candidate is best suited. But main character (and one of the best female leads ever written in YA fiction) is Divergent– a mysterious title that threatens to dismantle the entire society should it become known. But Tris isn't alone– Enter Four, aka Tobias, her instructor with a dark past and killer fighting skills. Over the course of the series, the Dauntless/Divergent team battle the society that has stripped them of choice, discover how their world came to be, and grow into something truly unstoppable. I felt Divergent was the strongest story because of the introductions and mystery. We never really knew what was going on until near the end, most of the time following Tris around as she struggled with her mysterious title, her acceptance into an intimidating lifestyle, and her relationship with Tobias. All of that world and character building led to the much more dramatic and action-packed Insurgent, though I simply wasn't as attached to it as I was in the first novel. It seemed like all the problems could have been solved by simply telling the truth. Actually, all of them could have been... but then we wouldn't have had such a great story, would we? Allegiant, on the other hand, I felt was the weakest of the three. Don't get me wrong, it was far from boring and has an ending I'll never forget (more on that little atom bomb later), but for the first half of the book, I felt like nothing was really happening. It was a lot of setup and dramatic reveals and choices between Tris and Tobias (the story was told from both of their perspectives). The world was rich and well developed, a unique twist on the world we know so well. The action scenes were excellently constructed and easy to visualize. I have to admit that I was a fan of the simulations as well, since they seemed to take on an almost fantasy-like perspective. I was always really invested in the family drama, especially when it came to Tobias. I never felt like it was childish or too much. The same could be said for the love story, which, if I'm being honest, was the highlight for me. It was beautiful, touching, and heart-warming. They had their ups and downs like every relationship, but the depth of Tris and Tobias's love was truly incredible. That could be helped by the fact that Tris and Tobias are two of the best characters I've had the pleasure of reading. Tris is motivated, strong, has an indomitable will, is uncannily brave, selfless, and wonderfully loyal. Tobias is powerful, respected, endearing, hopeful, and head over heels for Tris. But they're far from perfect. Tris is always overburdened by guilt, and Tobias was alarmingly insecure. Yet both of these traits balanced their respective characters, and watching them use their strengths to build each other up was one of the highlights of the series for me. Now... The ending. MAJOR MAJOR MAJOR spoiler alert in place! Seriously, I'm about to reveal the entire ending. DO NOT READ if you made the mistake I did, and let the Internet tell you what happened. Not since Michael J. Sullivan's Heir of Novron have I cried so much at the ending of a book. For the last seven chapters of Allegiant, I couldn't shut off the waterworks. And I knew it was coming. While I was looking up photos on Pinterest (Tris and Tobias look like characters for a series I'm working on), I found some photos with quotes and comments that put dread into my stomach: Namely, Tris dying. So I looked it up... And it was true. At first, I was outraged. Not at Veronica Roth (I'm getting to it, okay?! ), but at the Internet. I hate spoilers, and didn't want to know this. Though in hindsight it was a good thing because I don't want to be that person who cries on the bus for no reason. Because I just couldn't wrap my head around it, I had to know the reason. After all, I was already spoiled, so what could it hurt? I read this article by Roth herself, sat back and let it sink in. And I get it. As a fangirl, this wrecks me like you wouldn't believe. But as a writer and a reader who loves a good story, I agree with Roth. This was the right ending for the Divergent story. Think about it– Tris has spent the entire series learning the meaning of self-sacrifice, to be brave and selfless and honour her heritage from Abnegation and her growth from Dauntless. There's a beautiful symmetry to it, her finally dying the way she wanted to, even if she didn't really want to die. For Tobias, this meant that he finally knew what it meant to mend himself. His narrations and memories of Tris at the end broke my heart given the depth of his love, and it was easy to feel his pain as though it were my own. Just when I thought my heart couldn't take any more, he did her the ultimate honour by facing his fear of heights to race down a zipline and scatter her ashes over the home she loves. I can't remember the last time I read something so beautiful in my life. It wasn't the ending fans may have wanted, and it wasn't really a traditional happy ending. But it was the right ending, and it closed the series beautifully. I loved this series. Roth is an amazing author with a mind for characters and dramatic tension. I fell in love almost instantly, and will recommend these books to everyone who hasn't already had the luxury of reading them. They've been absolutely amazing, and took me on a journey I'll never forget with two of the best written characters in fiction. If you can handle the emotions that come with deeply investing in a world and the people that occupy it, the Divergent series is for you. If not, you're missing out.